Channel-in-a-Box empowers users with all the playout features needed to maintain an efficient and reliable channel on-air, including cloud playout, ingest, automation, master control and interactive graphics with consistent precision for even the most demanding of environments. 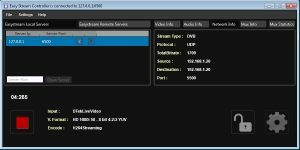 Easy OnAir is an easy to use single or multi-channel playout solution, available in SD, HD, 4K and IP. It s a universally stable platform that gives you a 24/7 on air application. 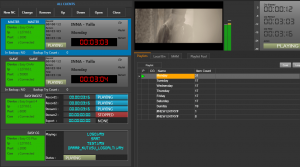 Working as a standalone playout Channel or in a fully automated workflow via Easy Net Controller, Easy MAM, Easy QC and Easy Playlist Editor. A comprehensive integrated CG makes it an even more powerful solution for the broadcast and media entertainment markets. Easy CG is a comprehensive software package that enables TV Channels to display their graphics instantly on Air without compromise in quality or flexibility. It is perfectly designed for News, Weather, Business and Music Channels or for any other application that wants to brand their Channel with easy, fast and eye catching graphics. CG plus gives you additional features that further enhance the capabilities of the system. Not only you can get high definition (HD) records but also you can get standard definition (SD) and low resolution (CIF) records. It provides support for commonly used encoding formats. The product provides speed and facility with its friendly user interface. It supplies record security by taking steps for shooting or lessening probable system troubles. Any TV Channel that want to send their video audio sources to another destination, Easy Ip Encoder can be used. At decoding side any hardware or software or set top box IP decoder can decode or any IP-Multiplexer can accept the stream.